Look at this photo... 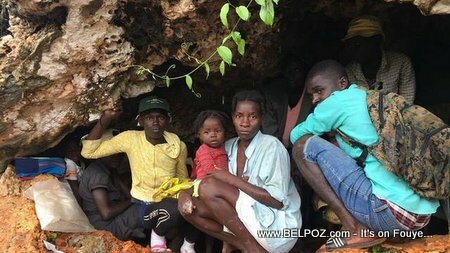 Desperate Haitian families have taken refuge in a cave in Fonds Rouge Dahere on the outskirts of Jeremie since Hurricane Mathew. These Haitian families lost everything in the storm and are left to fend for themselves in what they call "the hole."